Rory talks about his experience and the benefits he received from using his Clearlight Sauna. He has found a big difference in his health when using the Infrared Sauna form Sauna Works. When He wasn't able to use the Clearlight Infrared Saunas from Sauna Work he found that he wasn't feeling as good as he did when he was using the infrared sauna. Far infrared waves penetrate deep into our body for a deep heating action which allows for the body to activate the sweat glands. The sweat glands offer one of only a few mechanisms that the body has to eliminate toxins and since the skin is the largest organ in the human body it is apparently a very good means for elimination. Bring the benefits of a far infrared sauna into your home with a new Clearlight Infrared Sauna! Loraine'sJacuzzi® Sanctuary 2 Sauna Helped Lower Blood Pressure Loraine Says Her Jacuzzi® Sanctuary 2 Sauna Helped Lower Her Husbands Blood Pressure. Ron talks about his old sauna with high EMF/ELF and why he switched to Clearlight Ron had a competitors sauna with high EMF and high ELF. He switched to his Clearlight Sanctuary 2 and loves it. Enid Discusses Her Experience With Her Jacuzzi® Infrared Sauna Enid regularly uses her Clearlight Sanctuary 2 Infrared Sauna. Tod and Cindy Review Their Clearlight Sanctuary 2 Infrared Sauna Todd and CIndy review their Clearlight Infrared Sauna and made this great video showing it off. Aaron discusses how his Clearlight Saunas has helped with his health challenges. Aaron discusses how his Clearlight Saunas has helped with his health challenges and how he enjoys using his Clearlight Infrared Sauna. Cross Training In A Jacuzzi® Sanctuary Y - Yoga Infrared Sauna Want to increase the results from your workout? Trying exercising in a Jacuzzi® Sanctuary Y Yoga Sauna. 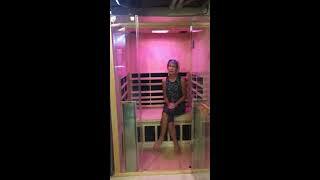 Becky Reviews Her Clearlight Premier IS-2 Jacuzzi® Infrared Sauna Becky discusses the ease of assembly and how their entire family uses their Jacuzzi® Infrared Sauna. Carmen Loves Her Jacuzzi Premier IS-2 in Basswood Carmen uses her Jacuzzi Premier IS-2 in Basswood post workout. 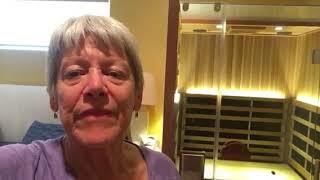 Clearlight Sauna Review - Janet talks about the benefits of her Clearlight Sauna. Clearlight Sauna Review - Janet talks about the benefits of her Clearlight Sauna. Don Discusses How His Jacuzzi® Infrared Sauna Helps His Arthritis Don discusses how his Clearlight Sanctuary Full Spectrum Sauna has benefited his health and particularly his Arthritis. Rodney Feels A Lot Of Relief From His Arthritis Rodney feels a lot of relief from his arthritis from using his Clearlight Sauna. He also comments on the high quality cabinetry. Steve talks about detoxing results using his Clearlight Infrared Sauna - Review Steve had high lead levels and his doctor recommended an infrared sauna. Steve chose a Clearlight Infrared Sauna and after use his doctor informed him that his lead levels had dropped significantly. Jared and Anne Love Their Jacuzzi® Infrared Sauna Jared and Anne talk about the benefits they've received from using their sauna and why they chose a Clearlight Premier IS-C. They also show a time-lapse video of the 1-hour installation. Sean Review His Clearlight Infrared Sauna & The Detox Benefits Sean reviews his Clearlight Infrared Sauna and the detox benefits he received from using his infrared sauna. Neal Uses His Jacuzzi® Outdoor Infrared Sauna Almost Every Day Neal discusses the benefits he's received from his Jacuzzi® Outdoor Infrared Sauna. Fred talks about his experience with his CE-2 Clearlight Infrared Sauna. Fred talks about his experience with his Essential CE-2 Clearlight Infrared Sauna recommended by his acupuncturist. Ann & Ken Review the Detox and Health Benefits They Receive From Their Clearlight Infrared Sauna Ann & Ken Review the Detox and Health Benefits They Receive From Their Clearlight Infrared Sauna. Karen reviews her Clearlight Sauna and how it has helped her autoimmune disease Karen reviews her Clearlight Sauna and how it has helped her autoimmune disease and how it also helped her cats. Therese Talks About The Benefits To Her Chronic Health Condition Therese uses her Clearlight Sauna daily and it helps with her pain and inflammation. She loves her Sanctuary 1 Full Spectrum Infrared Sauna. 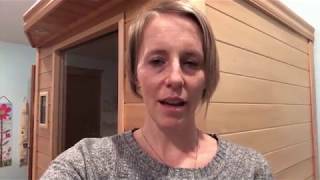 Tyler Loves Her Clearlight Infrared Sauna Tyler discusses why she purchased and infrared sauna to help improve her health and why she bought a Clearlight Sauna. 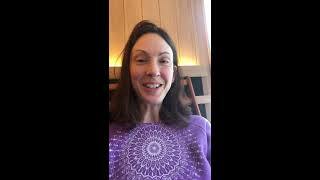 Kristi Reviews The Detox Benefits Of Her Clearlight Infrared Sauna Kristi found her Clearlight Infrared Sauna helped her effectively detox from heavy metals by using her Clearlight Infrared Sauna. 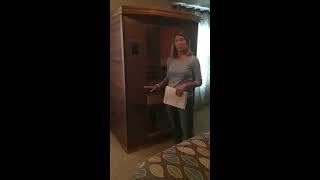 Melissa Reviews Her Clearlight Infrared Sauna For It's Detox and Weight Loss Benefits. Melissa reviews her Clearlight Infrared Sauna and discusses the detox and weight loss benefits she's received. This Clearlight Infrared Sauna Review is from Gary and Cindy and they talk about using their Clearlight Essential sauna and the health benefits they've seen in this review. It has helped lower Gary's blood pressure and has also transformed their relationship with so much more laughter. The use the Clearlight Sauna about 5 times a week and would like to use it much more. The Sauna Works Model they use is one of the must popular and they love it. One Of The Best Investments I've Ever Made We hear often from our customers that their purchase of a Jacuzzi® Infrared Saunas is "one of the best investments I've Ever Made". Rhonda Reviews Her Clearlight Infrared Saunas Rhonda talks about how much she loves her Clearlight Premier IS-2 Sauna. A year later, the Winchels review the continued benefits of their Clearlight Infrared Sauna A year later, the Winchels review the continued benefits of their Clearlight Infrared Sauna. They see general health and detox benefits from using their Clearlight Sanctuary 3. What differentiates Clearlight far infared saunas from all others? Craftsmanship and our True Infrared Il technology! All of our Clearlight far infrared saunas are made with the highest quality tongue and groove Eco Certified Western Red Canadian Cedar and include our advanced True Wave II heaters making Clearlight Saunas the sauna of choice. Our True Wave II heaters are the only combination Carbon and Ceramic far infrared heater. These heater are truly the best of both worlds. The carbon allow the True Wave II heaters to produce long wave far infrared heat. The long infrared wave will penetrate deeper into your body and give you the benefits you are looking for. The patented organic Ceramic compound that we add to the carbon give the heaters a very high infrared output. Traditional carbon heaters are weak, but not our True Wave II heaters. They produce exceptional quality infrared and a lot of it. Please see the comparison test we performed below. Clearlight Sauna Review - Brendalyn talks about the Detox benefits from Clearlight Saunas. Clearlight Sauna Review - Brendalyn talks about the Detox benefits & great customer service from Clearlight Saunas. Clearlight Sauna Review - Diana talks about the results she's seen w/ her Clearlight Sauna Dome. Clearlight Infrared Sauna Review - Diana talks about the results she's seen with her sauna after facing health changes. Bob and Ann talk about using their Essential CE-2 Clearlight sauna and the benefits they've received in this review. The Detoxification and release of stress and muscle pain that they receive from the Clearlight Infrared Sauna by Sauna Works. See how Clearlight Infrared Saunas have helped Chiropractor Dr. Nick Morris, he discusses the benefits his patients have received from using a Clearlight Infrared Sauna in his practice. Some of the benefits from using a Clearlight Far Infrared Sauna is completely safe and produces the same far infrared heat produced by the sun. The Far-infrared heat is required for all living things for optimum health. The radiant heat from your Clearlight Far Infrared Sauna surrounds you and penetrates deeply into your joints, muscles and tissues, speeding oxygen flow and increasing circulation. Using your Clearlight Far Infrared Sauna helps to remove impurities from your cells, specifically the cells inside our fat where our body stores waste and harmful toxins such as cholesterol and heavy metals. When used properly, your Clearlight Far Infrared Sauna will help provide a lifetime of healthful living. Clearlight Sauna Review - Susan talks about the benefits she and her family have experienced. Clearlight Sauna Review - Susan talks about the benefits she and her family have experienced using her Premier Clearlight Sauna. • LCD "Swivel" Touch Screen controls with built in DVD player. • Reservations mode so you can set your sauna to turn on anytime in the next 24 hours. • Exceptional True Wave II™ carbon/ceramic low-EMF heating technology. • Furniture quality finished Cedar wood sauna cabins. • Contemparary design will enhance any room in your home. • Complete Clearlight Infrared Lifetime Warranty. • Seamless and easy installation in less than an hour. Your Sanctuary C has a total of 3,890 sq. in. of True Wave II™ heaters. The large size of each heater allows for a lower surface temperature than other infrared sauna heater technology. This means better performance well within the optimal wave range of 7 to 14 microns with a good portion of wavelengths at 9.4--which is the frequency at which the human body absorbs infrared heat. Clearlight Infrared Sauna Review - Susan and her husband talk about their Clearlight Sauna Clearlight Infrared Sauna Review - Susan and her husband talk about how much they love their Clearlight Sauna. 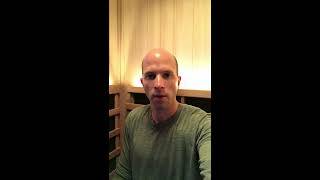 Dan Reviews His Clearlight Infrared Sauna and It's Benefits Dan reviews his Clearlight Infrared Sauna and the benefits he and his wife have received. Denice talks about using her Clearlight Sauna for Yoga and how much she loves it in this review. This Clearlight Sauna customer Kirt discusses and reviews his infrared sauna experience and the quite relaxation that he gets from the Sauna Works model that he has. The Martins Have Some Fun and Talk About Using Their Clearlight Sauna by Sauna Works for many reasons. Her Skin has never felt better since using the Clearlight Infrared Sauna and it has been a great addition the their workout program. Sauna Works has many different model that can work for your specific situation. Give us a call or visit the website to see more on our company. 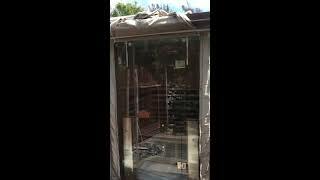 Clearlight Infrared Sauna Review - Barry talks about his Clearlight Saunas as a Sanctuary Clearlight Infrared Sauna Review - Barry talks about his Clearlight Saunas as a Sanctuary from the outside world. Sal Reviews His Clearlight Infrared Sauna and It's Effects On His Lymes Disease Sal Reviews His Clearlight Infrared Sauna and It's Effects On His Lymes Disease. Bonnie Reviews Her Clearlight Sauna and Discusses The Relief From Her Arthritis Pain Bonnie reviews her Clearlight Sauna and discusses the relief from her arthritis pain and other benefits she's received. Simone from Kansas Reviews Her Clearlight Sauna & Talks About How Much She Loves It! Simone from Kansas reviews her Clearlight Infrared Sauna (Premier IS-C) & talks about how much she loves it and the benefits she's received. Ellen Reviews Her Clearlight Sauna and Discusses The Relief She's Received From Her Fibromyalgia Ellen reviews her Clearlight Sauna and discusses the benefits she's received and the relief she's had from her fibromyalgia. Joe Reviews His Clearlight Essential Sauna Joe reviews his Clearlight Essential Sauna discussing the weight loss and general health benefits he's received. Dr. Morris from New Health Chiropractic Reviews Their Clearlight Sauna Dr. Morris from New Health Chiropractic in New York uses their Clearlight Infrared Sauna in his Chiropractic clinic. He talks about the benefits his clients receive. Rich reviews his Clearlight Sauna and how it effects his health Rich would get several colds per year and after using his Clearlight Sauna regularly, he no longer gets sick. His son also purchased a Clearlight Infrared Sauna. Jeremy reviews his Clearlight Infrared Sauna Jeremy purchased his Clearlight Sauna in April 2012 and still uses and loves it. Listen to his review of his Clearlight Essential Sauna. Dianne Reviews Her Clearlight Premier IS-1 Sauna And It's Benefits Dianne reviews her Clearlight Premier IS-1 sauna and discusses the health benefits for her family. Caryn Reviews Her Clearlight Infrared Sauna - Clearer Skin and Better Circulation Caryn reviews her Clearlight Infrared Sauna and talks about some of the benefits: clearer skin and better circulation. She also talks about how easy it is to assemble. George and Laura review their Clearlight Infrared Sauna and how it relieves their aches and pains. George and Laura review their Clearlight Infrared Sauna and how it relieves their aches and pains. Steve Reviews the detox and pain benefits of his Clearlight Infrared Sauna Steve used his Clearlight Infrared Sauna to detox from heavy metals and to help reduce pain. 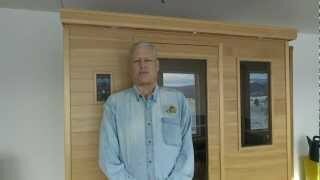 Randy talks about why he purchased a Clearlight Infrared Sauna and the benefits they've received Randy talks about why he purchased a Clearlight Infrared Sauna and the benefits they've received. Joan discusses how her Clearlight Sanctuary 1 helps her sweat. Joan didn't sweat very easily. After three months in her Clearlight Sanctuary Full Spectrum sauna, she is sweating much faster in the sauna and now sweats when exercising.